HERE / Introducing the HERE OLP Marketplace for simplified and secure data exchange and enrichment . Processed and transmitted by West Corporation. The issuer is solely responsible for the content of this announcement. Among the first participants of the HERE OLP Marketplace are Audi, BMW, ClearMotion, Daimler, DKV Euro Service and Moove.ai. Las Vegas, CES 2019 - HERE Technologies, a leader in mapping and location platform services, today introduced the HERE OLP Marketplace, a new hub for global location data exchange and enrichment across industries. It is a key element of the HERE Open Location Platform (OLP), the cloud-based big data platform from HERE to accelerate the development and commercialization of innovative location-centric services and products across industries. The rapid adoption and omnipresent deployment of sensors and connected devices across automotive, mobility, IoT and other industries are turbocharging a new, hyper-growth ecosystem of location-centric data. The HERE OLP Marketplace offers a neutral and scalable environment designed to facilitate interaction and data exchange within this ecosystem. Companies or organizations that have a large collection of sensor data can easily share it through the Marketplace with other companies or developers creating new location-based applications and solutions for people and enterprises. By simplifying the sourcing and licensing of data in a secure and controlled way compliant with privacy and security regulations, the HERE OLP Marketplace accelerates data-driven innovation and speeds up time to market. Share their data in a controlled, secured, privacy-compliant fashion. Data providers can actively engage with and approve every data sharing arrangement. The HERE Open Location Platform is also covered by the ISO/IEC 27001:2013 certification for information security management that HERE has obtained. It also adheres to applicable security and privacy regulations and is compliant with the General Data Protection Regulation (GDPR) of the European Union. Use the OLP Workspace to access tools that can help them amplify their data's value. The OLP Workspace offers standards-based normalization and enrichment tools to ensure their data can be easily consumed by others. Using the OLP Workspace, as an option, for faster proof-of-concept and product development. The HERE OLP Marketplace will also be the place where HERE itself will offer its own data as well as source data from third parties. 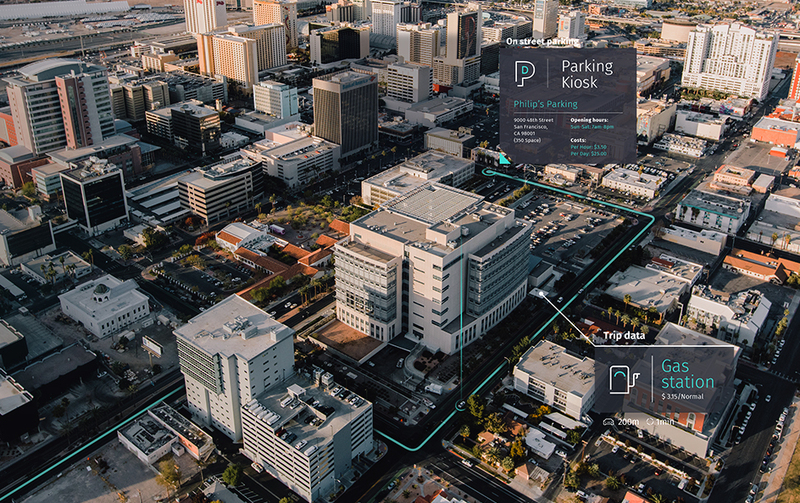 "We are on a mission to make the HERE Open Location Platform the powerhouse for thousands of data-rich applications and solutions across industries that will realize the vision of an autonomous world for everyone," said Edzard Overbeek, CEO of HERE Technologies. "The HERE OLP Marketplace gives companies and developers the chance to tap into location data at unprecedented scale to create new solutions for people and enterprises worldwide." HERE has opened up the private environment of its OLP Marketplace and is currently on-boarding premium data providers who want full control over how their data is discovered and consumed, and data consumers who are looking to license such data at scale for building powerful applications and services. Peter Steiner, Managing Director, Audi Electronics Venture GmbH, said: "The HERE OLP Marketplace offers a great opportunity to establish a new form of data business. It enables a variety of rich location based services to our customers." Jörn Freyer, Vice President BMW Group Location Based Services, Navigation and Mobility Services: "We are excited to collaborate with HERE OLP Marketplace to share and leverage selected vehicle data. Combining our data with partners from automotive and other industries gives us new opportunities to improve our customers' experiences with innovative digital products and services." Daimler is extremely interested in the HERE OLP Marketplace during an evaluation period to develop new services on the platform for customers. Sajjad Khan, executive vice president of Mercedes-Benz Cars: "Being one of the main partners of the HERE company from the beginning on, Daimler evaluates with the HERE OLP Marketplace new possibilities to generate new services and products for the future of mobility." Data provision to the platform is not part of the evaluation activities. "The strategic partnership with HERE is part of our data strategy. This includes the provision of data in compliance with data protection regulations to make it accessible across all industries and usable for other systems such as navigation systems," says Dr. Hendrik Rosenboom, CEO of DKV MOBILITY SERVICES Holding. "Together, we want to develop many more ideas for new products and services." Rafay Khan, CEO, Moove.ai, said: "Moove.ai is excited to be a premier HERE solution partner. We are working on mission critical road safety services with leading players in Automotive, Insurance and Government Transportation. The HERE Open Location Platform and the OLP Marketplace provide us with rapid and comprehensive access to robust map and auto probe data sets and the location services to rapidly build solutions. The platform also provides us with the ability to produce sophisticated real-time data services and publish them to automotive users securely." Companies interested to become a HERE OLP Marketplace participant can get in touch with HERE via email ([email protected]) or by filling out this contact form: https://openlocation.here.com/contact.